Whether you are building new construction, are remodeling, or even just updating a house or office building, it can all be a lot of work. Maintenance and work must be done on both the inside and outside of the building. Oftentimes, trees need to be removed, and there are many reasons for this. Sometimes, the trees are simply in the way of the new building or project. Other times, the trees are huge, ugly, and overgrown, giving the property a run-down, gross look. And occasionally, trees can be a hazard. If a gigantic tree is hanging over a house or carport, it is a liability and no one wants to pay for damages if the tree falls on the house or the vehicle. While many folks go out, armed with a chainsaw or hedge trimmer, ready to take on whatever nature can throw at them, but it takes more for the job to get done safely and efficiently. Before anyone finds themselves dangling from tree limbs with power tools in hand, please be safe and instead, call the Tree Service in Orlando. The Orlando Tree Removal Service Company is here to help! Cue the calvary! 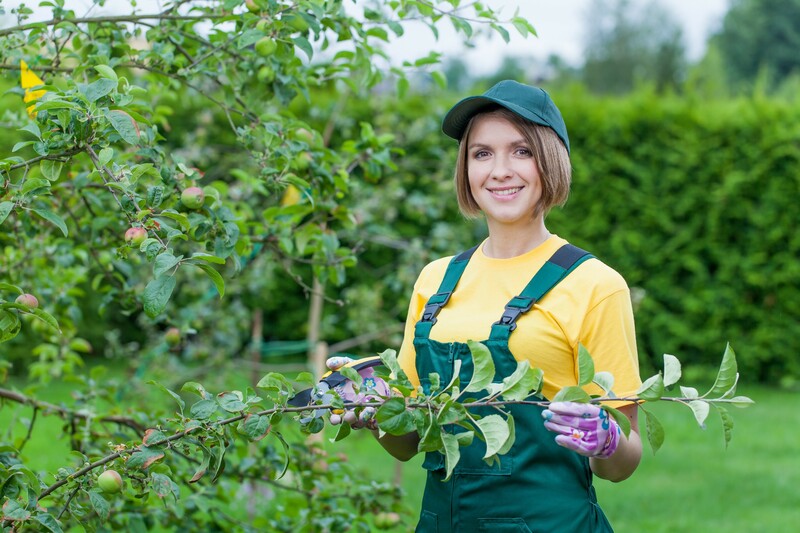 No matter what your tree service need is, Advanced Tree Pros has you covered. We will rush to your rescue with our cranes and saws in a timely manner from any of our 3 locations: Orlando, Tampa, or Daytona Beach. Whether it is tree trimming or pruning, tree removal, land clearing, using our recycling center, our grapple truck service, and a crane service, there is no one more qualified for the job! With free no-obligation estimates, upfront pricing with no hidden fees, highly experienced crews, locally owned and operated, and professional, courteous, on time, and fully equipped, we fit the bill. We are properly licensed and insured and will prevent property damage. Not only do we get our unwanted trees out of the way, but we can also plant new trees to replace the ones we removed. While we prevent damages to property, we cannot always guarantee that your lawn will remain in pristine condition while tree cutting. We do our best to keep everything looking great, but a tree removal site is still a construction site. 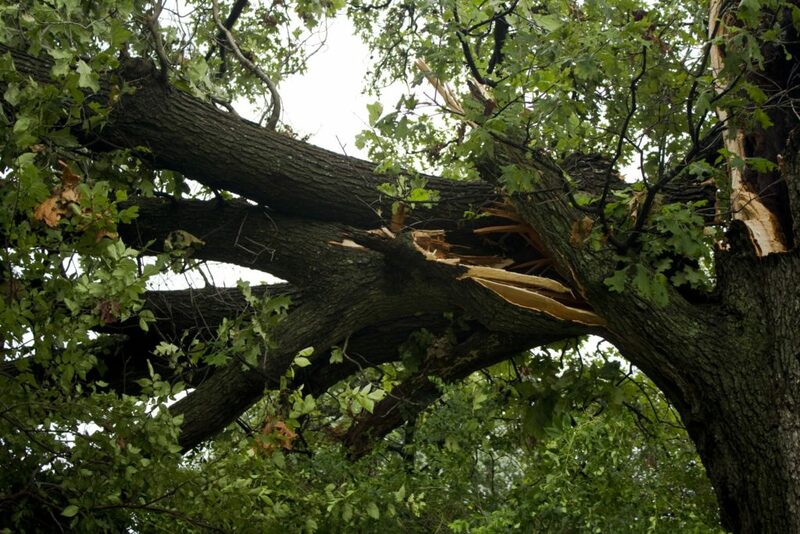 When limbs fall, they can make dents, sticks puncture small holes, and sometimes branches can make skid marks. The easiest way to fix these issues is to fill them back in with fill dirt; spread it out, and plant new grass. Before long, your lawn will look brand new again. If the dents and holes are bad enough, however, a lawn roller may be in order to flat out the dents and bumps. Use one that pulls behind your lawn tractor and you will love your smooth, flat yard! If your lawn is nothing to look at in the first place, though, and you are looking for an excuse to redo it, this might just be your ticket! Once we are finished, start by tilling up that hard, barren soil so new sprouts can grow. Once the sod is tilled and turned up, plant new grass and keep it watered. If you want your lawn treated by professionals, there are lawn care services in Florida that do just that. They will remove your old sod and will chemically kill off what is left of your old lawn so it does not interrupt the new growth of the fresh grass. Then, they will bring in fresh sod and grass, cut and delivered from a local sod farm. They will measure and cut the sod with a sod cutter so everything is the right size and shape to match the layout of your property. Next, they will use track loaders to finish grade your property, giving you an even yard that will not dip or settle over time. They measure the grade at 1/2 to 1/3 inch below the concrete level of your sidewalk, patio or driveway so the sod is flush and even when it is installed, creating the perfect look.